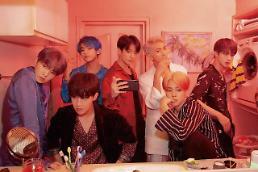 SEOUL -- The new repackaged album of K-pop band BTS has become a top-selling item on Amazon, the world's largest online retailer, just a day after the seven-member group started receiving pre-orders, according to the group's management agency. 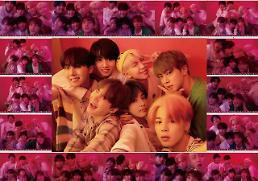 Big Hit Entertainment said Thursday in a statement that "LOVE YOURSELF: Answer", the group's repackaged album scheduled to be released on August 24, topped Amazon's list of best-sellers in the "Music, CD & Vinyl" category. The website of Aladin, a South Korean online bookstore, saw a brief crash as enthusiastic BTS fans rushed to make pre-orders. The group's repackaged album will include seven new songs and alternate versions of hit songs. It would be the last of its LOVE YOURSELF album series. BTS will embark on a world tour on August 25, starting with a concert in Seoul. .